Consistently ranked as one of the best links golf courses in the world, the Old Course at Troon presents a stiff golfing examination and the inward half is recognized as the most demanding of any of the courses on the Open Championship rota. 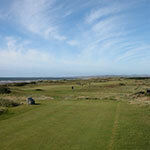 There are two links golf courses at Troon – the Portland Course and the Old Course. And while the 6,289 yard, Par 71 Portland Layout is excellent and ideal for a second round, it is undeniably the Old Course that is the jewel in the Troon golfing crown. 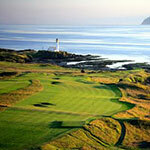 Long regarded as one of the world’s finest courses, the Ailsa Course at Turnberry came to international prominence in 1977, when Tom Watson and Jack Nicklaus went head to head for the British Open in what became known as the “Duel in the Sun”, with Watson claiming a one stroke victory over his great rival. 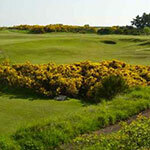 As true a links course as one could imagine, Western Gailes presents an abundance of undulating dune ridges, heather and gorse, which will test the most accomplished golfer. 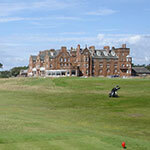 Founded in 1897, Western Gailes Golf Club is located on the same famous stretch of coastline as Prestwick and Turnberry. 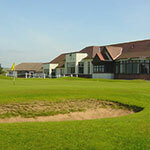 Founded in 1851, Prestwick Golf Club will forever be remembered as the birthplace of the Open Championship. 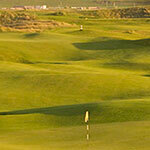 In total, Prestwick has hosted the Open Championship on 24 occasions, the last time in 1926. Prestwick’s fairways are for the most part narrow and its generally small and undulating greens, given certain pin placements, can make for some interesting approach shots. On Friday 18th March 1887, some 13 men gathered at a meeting in the Kings Arms Hotel, which saw the establishment of Irvine Golf Club. 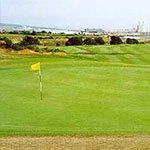 With no two holes even remotely similar, the course provides a challenge to all with its subtle changes in direction. Founded in 1887, the Barassie Links offers some of the finest greens in Scotland and is a worthy qualifying venue for the Open Championship, when held at Royal Troon. 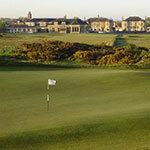 Barassie Links is a tough proposition and its par-72 layout boasts a standard scratch of 74. 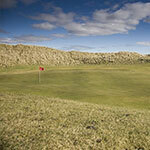 Macrihanish Links was designed by “Old Tom Morris” who famously described the setting as being specially designed by The Almighty for playing golf. With some of the world’s most naturally undulating fairways and amazingly contoured greens, much like Royal Dornoch, this links would certainly play host to many prestigious events, if not for its relative isolation. There are many reasons to relish the prospect of playing at Machrie Links, not least of which is the stunning surrounding scenery. When allied to the quality of the course, the natural hazards of the links game, a number of blind holes and the sense of history that effuses from the venue, any day spent here will certainly be a memorable one.